These triangles are at least close to congruent. Mathematicians say two shapes are congruent if and only if you can transform one onto the other using a combination of flips, slides and turns. 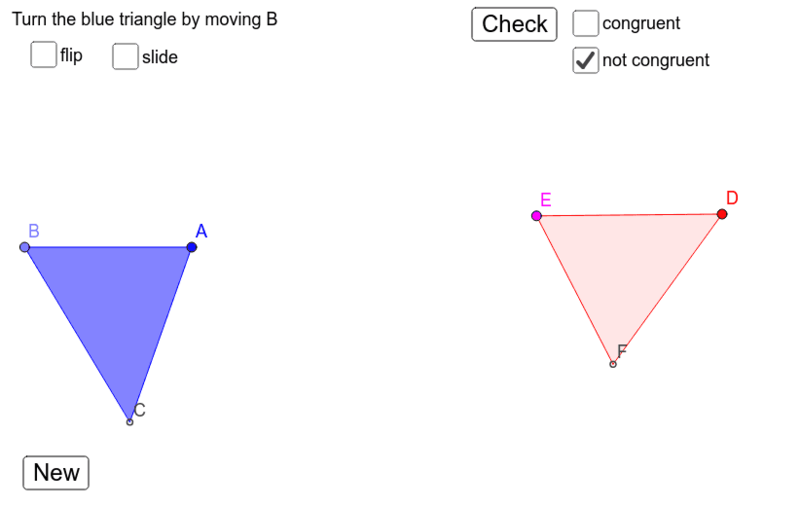 Two ways to play here: -predict whether they're congruent using the checkboxes and check button, then investigate using motions. OR -investigate using motions, decide whether they are congruent or not, then check with the button. Maybe try both ways! Hit new to get a new red triangle to play with.